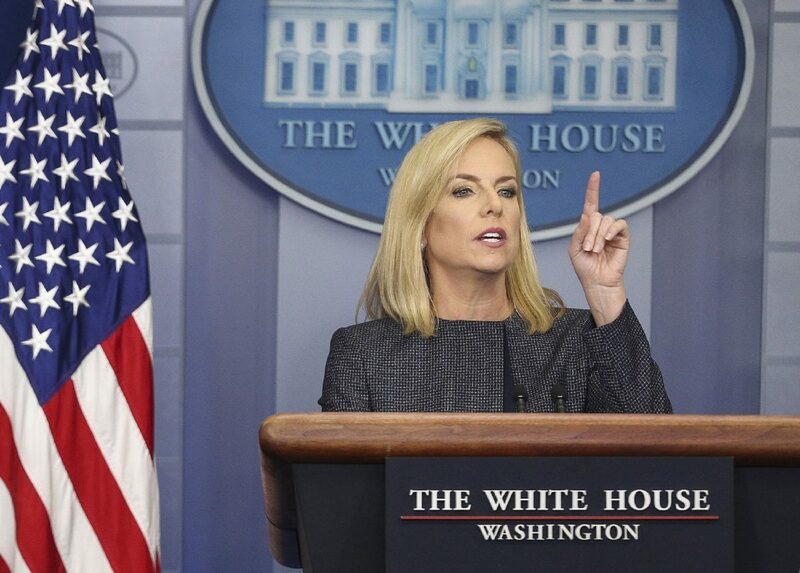 Homeland Security Secretary Kirstjen Nielsen speaks during the daily news briefing in the Brady Press Briefing Room at the White House on June 18, 2018, in Washington, D.C. The Trump administration intends to withdraw from the 1997 Flores Settlement Agreement, which imposes obligations on immigration authorities regarding children who are held with their parents in family immigration detention centers, according to a report slated for publication Friday on the Federal Register’s website. “The U.S. Department of Homeland Security and the Department of Health and Human Services (“the departments”) propose to amend regulations relating to the apprehension, processing, care, custody and release of alien juveniles,” the document states. The administration states in the more than 200-page report that it wants to replace the FSA to be able to detain immigrant families for as long their immigration cases are pending, which would go against the maximum 20-day limit for minors currently set by the agreement. 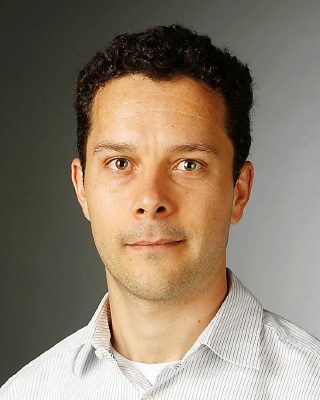 Efrén C. Olivares, the racial and economic justice director for the Alamo-based Texas Civil Rights Project, said detaining families longer is not the solution to family separations. “The Trump administration has found a new low in the family separation crisis: seeking indefinite imprisonment of children,” Olivares said in a prepared statement. “Any attempt to withdraw from the Flores Settlement Agreement in order to circumvent previous court orders and expand family detention is wholly unacceptable. He said instead of threatening to withdraw from the agreement, the administration should be working toward reuniting the children who still remain separated from their parents. The proposals come on the heels of a national outcry as a result of the separations that began in May, after U.S. Attorney General Jeff Sessions announced the “zero tolerance” policy, which urged U.S. prosecutors to prosecute all illegal entry and reentry cases, leading to the separation of children from parents. TCRP gained notoriety during the period in which the policy was in place and represented nearly 400 families during the separation of children from their parents along the U.S.-Mexico border. To date, nearly 500 children remain separated from their parents and in the custody of the U.S. government in detention facilities.